This recipe is one of our families all-time favorite. The kids just devour this one up, and its very good macros sitting at 30% protein for a ground beef recipe! I adapted this recipe and cleaned it up a bit from the outstanding Cook’s Illustrated recipe originally found here. 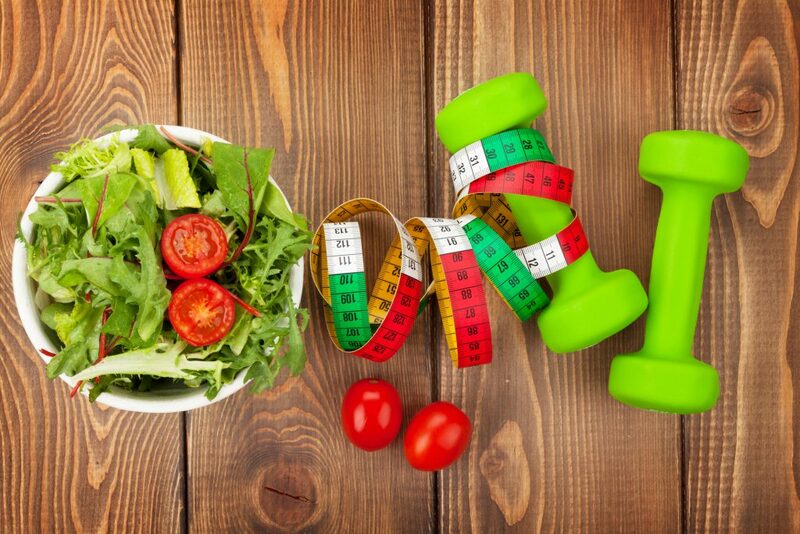 The final food has already been added in MyFitnessPal. If you are making the recipe exactly as laid out, then you can save a ton of time and pull this in immediately in your Diary! Just search for “MacroRx+” in your Diary and our recipes will come up. Change the serving amount to 1 g and then measure out using your scale how many grams total you want to eat and put that in for Number of Servings and voilà! An amazing comfort food made macro-friendly! Fold heavy-duty aluminum foil into a 10 by 6-inch rectangle. Put the foil on a metal cooling rack and place the rack over a rimmed baking sheet. Poke a number of holes in the foil about half an inch apart and spray with nonstick cooking spray. Set aside pan. Chop the onion and celery rib finely and set aside. Mince the garlic and thyme leaves and put them into a small bowl along with the paprika and set aside as well. Heat the olive oil in a 10-inch skillet over medium-high heat. Add the chopped onion and celery and cook, stirring occasionally until just beginning to brown, 6 to 8 minutes. Add the small bowl of of garlic, thyme and paprika. Stir it into the onion/celery mixture for about 1 minute, until fragrant. Reduce heat to low and add in the tomato juice. Cook for about another minute until thickened, using a wooden spoon to scrape up any browned bits from the bottom of the pan. Transfer mixture to a small bowl and set aside. In a large bowl, whisk in the chicken broth and eggs until combined. Sprinkle the gelatin over the liquid and let it stand for 5 minutes for the gelatin to absorb some of the liquid. Stir in the coconut aminos, mustard, ground rolled oats, minced parsley, salt, pepper. Add in the onion mixture that you prepped earlier and stir it in. Take the cheese out of the freezer and crumble it into a coarse powder and sprinkle over mixture. Make sure you hands are well washed if they aren't already! Add in the ground beef and dive in with your hands and mix gently until thoroughly combined, about 1 minute. Do not overmix. Transfer the meat to the baking sheet you prepped with the foil in the center of the rack. Shape it into a 10 by 6-inch oval about 2 inches high. Smooth the top and edges of meatloaf with a moistened spatula. Bake for approximately 1 hour, or until an instant-read thermometer stuck into the center of the loaf reads 135-140 degrees. Prep the glaze while you wait. 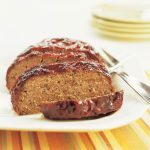 While the meatloaf is cooking, combine all the glaze ingredients into a small saucepan and bring to simmer over medium heat, stirring regularly until the glaze is thick and syrupy, about 5 minutes. Remove meatloaf from oven and turn on broiler. Spread half of the glaze evenly over the cooked meatloaf with an offset spatula. Be sure to get the edges of the loaf as well. Place under the broiler and cook until the glaze is bubbling and begins to brown at the edges, around five minutes. Remove meatloaf and apply the remaining glaze over top of the first coat. Place back under the broiler and repeat process, removing the meatloaf after the second coat is bubbling and beginning to brown. Let meatloaf rest for about 20 minutes before slicing and serving. This recipe is very easy to scale up to make multiple loaves. You can double/triple/quadruple the recipe with ease. Follow the same instructions except don't cook the glaze. Just mix it up and put it in a quart ziploc. Flash freeze the raw preformed loaf and then you can vacuum seal it for extra freshness if available. Then when ready to cook, just thaw it the day before and place it on the aluminum foiled rack and bake while you simmer the glaze. Saves a ton of time!